About a dozen parents of children who got carbon monoxide poisoning at Des Découvreurs school Monday protested outside the school as classes resumed Wednesday, demanding more accountability for what happened. 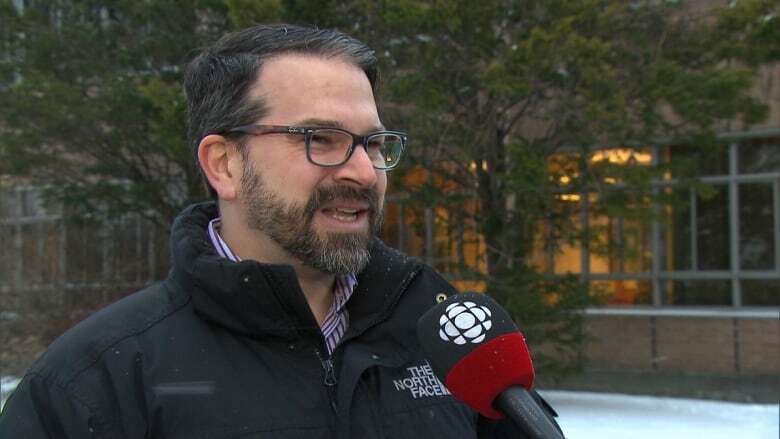 Mike Ivkovic brought his own carbon monoxide detector to Ecole des Découvreurs when the LaSalle elementary school reopened Wednesday morning. "We're not sure what's going on. So I bought my own [detector], and I want to go and install it in the school," he said. But for now, his nine-year-old son will not be returning to class. His son was not among the dozens of students rushed to hospital on Monday. Ivkovic brought him to hospital himself later that day, after he said he had a headache. Ivkovic says he is frustrated that some children who were showing symptoms of carbon monoxide poisoning were sent home. 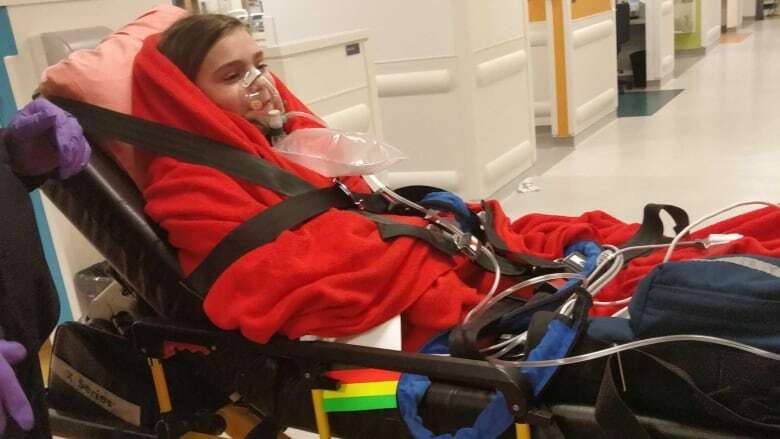 About 50 students and staff were brought to the Montreal Children's, Sainte-Justine and Royal Victoria hospitals after some fainted and others vomited from gas exposure in the school. The sickest children were transferred to Sacré-Coeur Hospital, which has a hyperbaric chamber. Ivkovic was one of about a dozen parents who protested outside the school Wednesday morning, demanding a meeting with the Marguerite-Bourgeoys school board and more accountability for what happened. "I don't feel safe just sending my kids back to school," said Sonia Mastromatteo, another protester. She has two children enrolled at the school. Her eldest, 9, was treated in a hyperbaric chamber. She said her two daughters will not return to the school until the family receives assurance that the same thing will never happen again. The school board says its carbon monoxide detectors were tested in October. But on Monday, no alarm sounded even though levels of the poisonous gas were five times greater than what should have triggered an evacuation, according to firefighters. In a statement Tuesday, the school board said the leak was caused by a ruptured joint in its heating system. It said the system had last been inspected in the fall. It said it also installed a new carbon monoxide detector Tuesday. But one protesting parent said she wants one installed in every classroom. "I want proof of what was installed. I want to see proof that there was an inspector that came in October," said Angelina Sicurella, who had come to the school to collect her kids' bags and to voice her dissatisfaction with the school board's response to the incident. She said she trusted the school board every day, and now she feels that trust has been broken. Sicurella's eight-year-old, Serina, passed out at her desk Monday, hitting her head. Sicurella says that after Serina was awakened by her teacher, she passed out again, and the next thing she remembered was waking up in the secretary's office. Sicurella said she only learned of this from her daughter; all she got from the school was a general email about the incident. Serina was among the students most affected by the toxic gas. 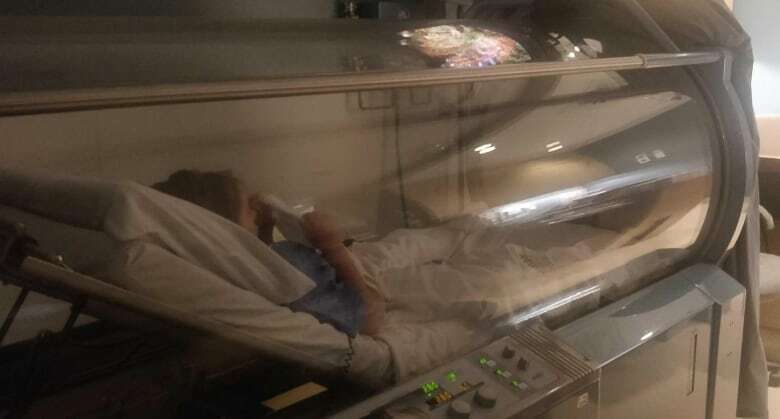 She spent about six hours in a hyperbaric chamber, only returning home from hospital early Tuesday morning. Sicurella says she's feeling better now, but still has a headache. Serina's sister, Samantha, five, vomited after the carbon monoxide exposure but otherwise suffered less severe symptoms. Samantha had oxygen and blood tests done and was then released to her parents. 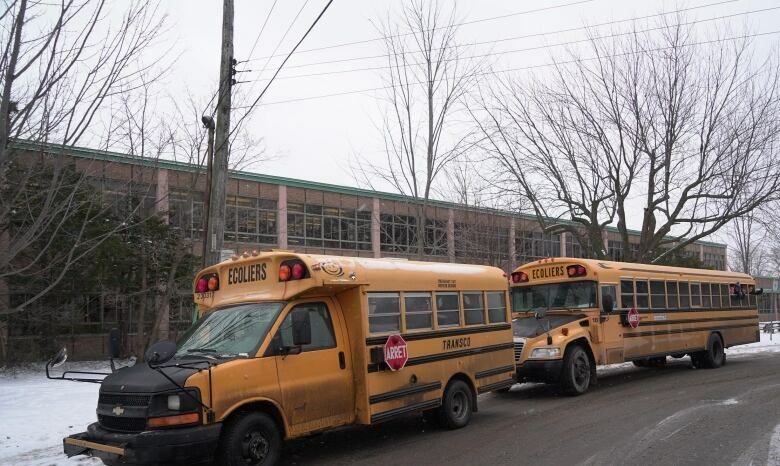 Richard Guillemette, deputy chair of the school board, met some of the concerned parents Wednesday and said the board would look into holding a meeting to tell parents more about what happened. He said his primary concern Wednesday was to ensure the building was safe and that the return to classes went smoothly. "I have to tell you that it's calm in the school. The students are already back to their routines," he said.